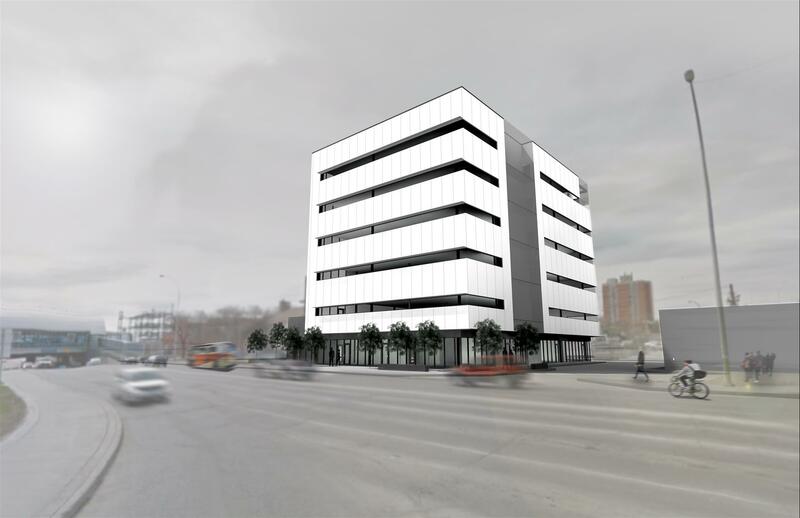 WINNIPEG, MB – Imperial Properties, a leading property management firm, announced today that construction has begun on Osborne Place, a new office building located at the intersection of Osborne Street and Pembina Highway, commonly known as Confusion Corner. When completed, Osborne Place will offer more than 32,000 square feet of office space in a brand new, six-storey building. The building will feature an open, customizable floor plan and modern mechanical systems, along with a prime location offering easy access to Rapid Transit, Osborne and Corydon Village, as well as many shopping and dining options. Onsite parking will be available, and Imperial Properties will serve as the property manager for the project. The development, located at 257 Osborne Street, has been underway for over two years and is expected to play a large role in revitalization efforts at Confusion Corner, which receives more daily traffic than any other site in Winnipeg. According to a recent traffic study, more than 91,100 vehicles pass the location each day. The unique location will also allow the project to be completed with minimal disruption during the construction process, which is expected to be completed in December. "We're pleased that Osborne Place will meet and exceed the goals outlined by the City of Winnipeg's Corydon-Osborne Area Plan," said Adrian Schulz, ACCI, president and CEO of Imperial Properties. "The city's emphasis on high-rise and mixed-use developments feels like a new beginning, and we're proud that our redevelopment of the Osborne and Pembina corner is validating and kick-starting this plan." Osborne Place was originally envisioned as a single office building on the same site, but the enthusiasm of Winnipeg officials and community leaders led to changes in the size and scope of the project. This resulted in minor delays, as additional partners were added to the team. A second phase is now being planned, with a 10-12 storey residential building slated for construction next door at 265 Osborne Street, at the corner of Jessie Avenue to start in 2017. In addition to providing property management services, Imperial Properties will also oversee leasing for the Osborne Place project. Other partners on the project include Quincore Projects, the general contractor; Allan Coppinger, the architect; and DIN Projects, which is overseeing the development's design. "Osborne Place has been a long time coming, but we're very confident that Winnipeg residents will find the finished product well worth the wait," said Schulz. "The site offers a state-of-the-art space and an outstanding location, which should attract the attention of anyone interested in relocating to one of Winnipeg's most iconic intersections. We couldn't be more excited to see this project come to fruition."